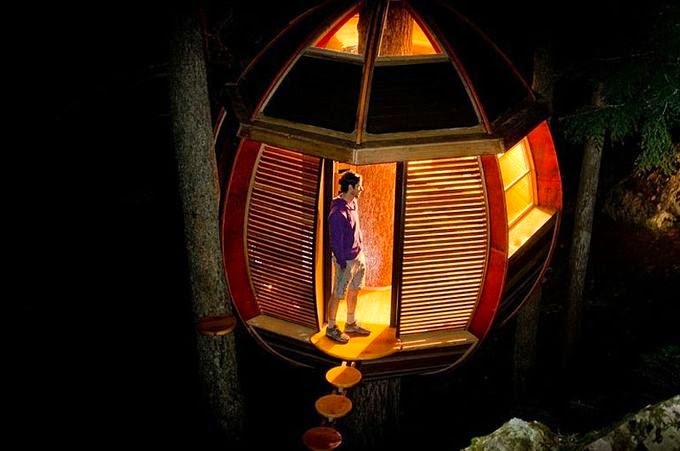 The hem loft is an amazing construction built in the woods of Canada.. I first heard or read about the story through a tumblr post and i was hooked. 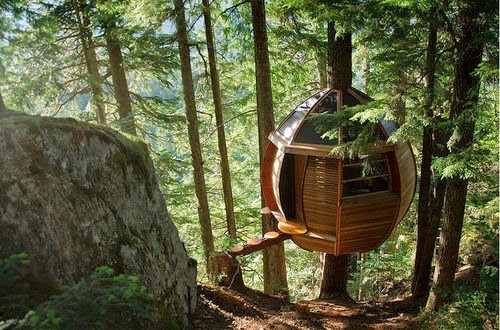 The egg shaped treehouse was secretly built by Joel Allan in British Colombia. It is open for everyone to enjoy. Theres just a minor detail.. the exact location of the "egg" is still a secret, so if you want to find it you better get cracking. 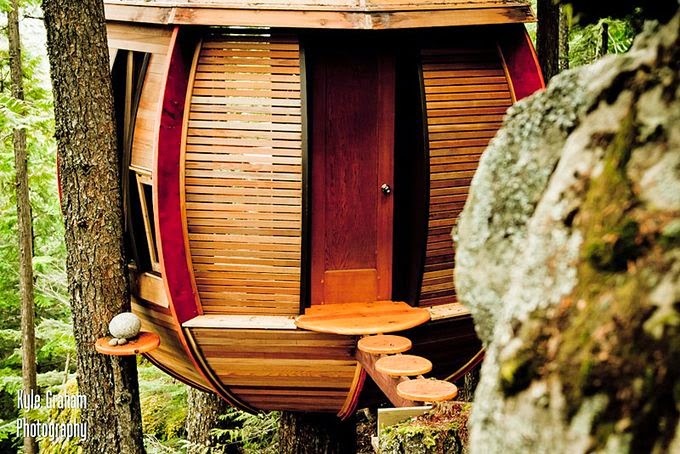 One of the things I love is when people have the guts to step outside the box and follow their dream/heart. Which is what this guy has done! I would highly recommend checking out the web sight, where you can read all about his story and the background of the hemLoft and the whole process.